Click business setting (The link is located under the settings section. Once you click on the link it will be added to your frequently used for quick navigation. Select people under the user’s section. Enter the person’s email address – make sure to give them the right level of access. For API integrations they will need Admin level access. An email will be sent to the person, they will need to accept the invite to the business manager. You will be lead through 5 steps, with each step you are able to choose what page, ad account or catalog you wish to give the person access to. Step 2 – Add user to Page Assets (You will have more options here on what level of access to give a user. 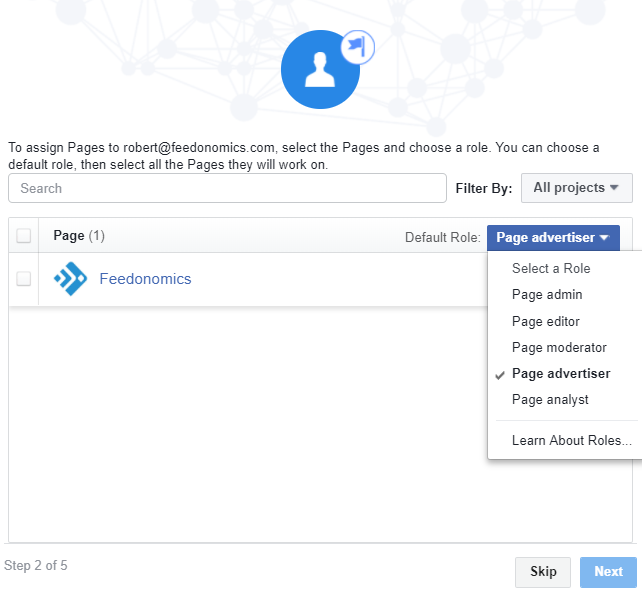 There is a link “Learn about Roles” which will give more details on each level of access). You will notice the “Skip” button, you can add the persons access levels here or via the business settings page under users. 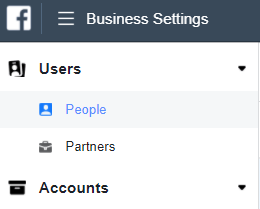 All users will be listed in your business settings interface. 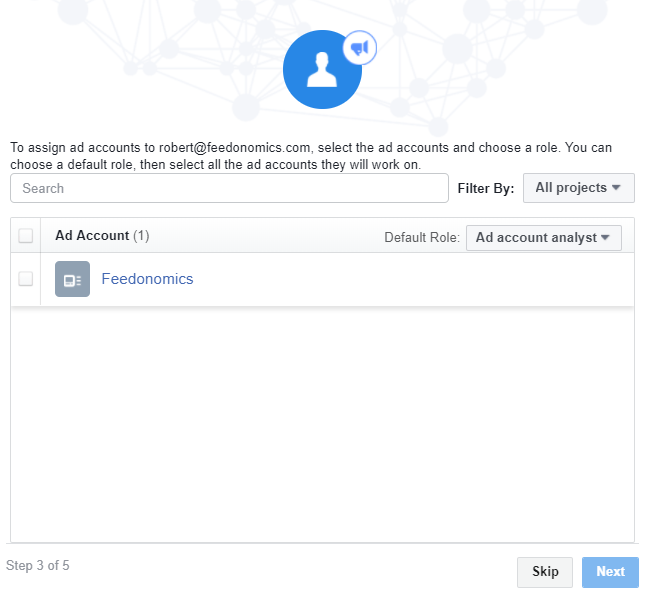 Step 3 – Add user to Ad Account (Once again you will be given different options with the person’s level of access. Make sure you understand exactly what level of access is required for each person you add). 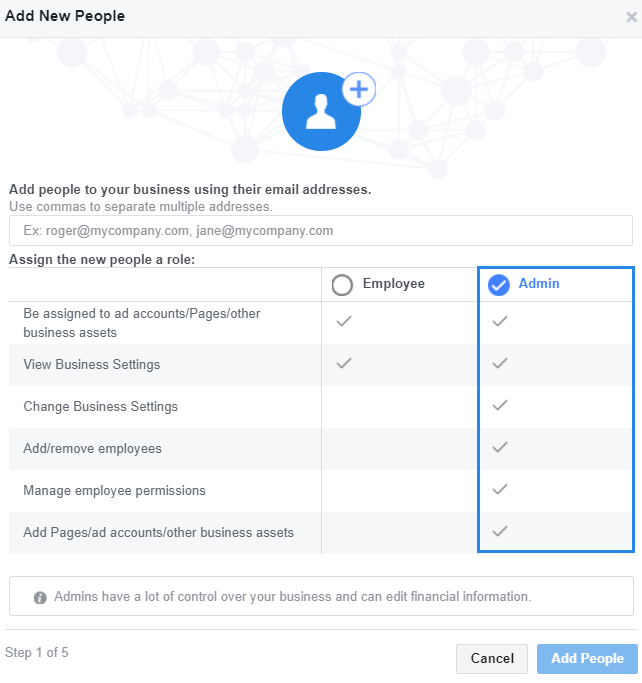 Once a person is added you will see them listed in your business manager. 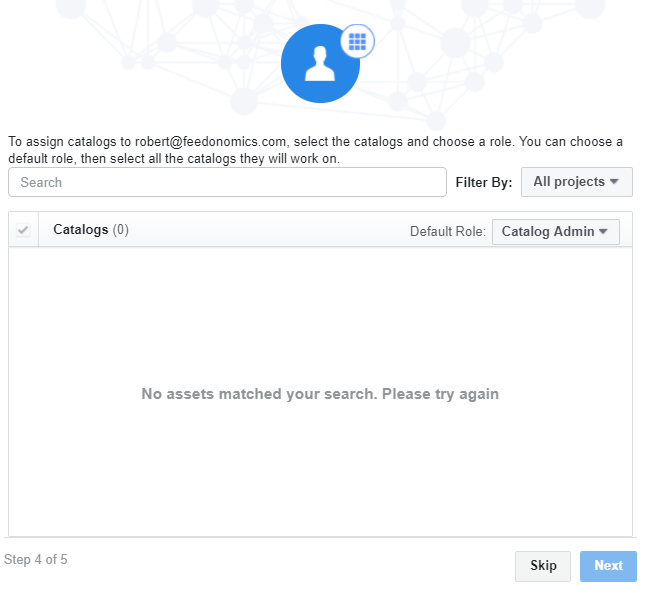 You can now add or remove them from any of your pages, ad accounts or catalogs. You also have the option to remove them permanently from your business manager.